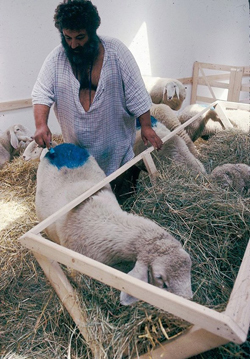 4 Women Gallery is proud to offer a viewing of a private collection from the Israeli artist Menashe Kadishman, who is famously known for his sculpture works and his sheep portraits. 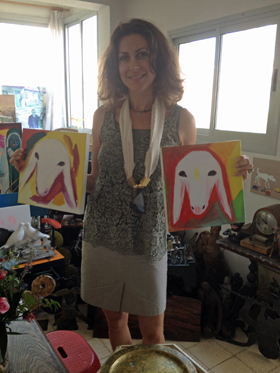 Menashe Kadishman is probably the most famous Israeli sculptor and painter. He was born in Tel Aviv, Israel (1932) and currently lives and works in Tel Aviv on the same street where he grew up as a boy. Over the last forty years Menashe Kadishman has had numerous exhibitions across the world in museums and leading international galleries. He is most known for his beautiful metal and iron large-scale simplistic urban sculptures. Kadishman sculptures of the 1960s were minimalist in style and designed as to appear to defy gravity. The famous “Three Discs” sculpture is located at High Park in Toronto. Menashe was among the first Nahal soldiers, an IDF program that combines military service and establishment of new agricultural settlements. Between 1950 and 1953, he worked as a shepherd. This experience with nature, sheep and shepherding had a significant impact on his later artistic work and career. The first major appearance of the sheep in his work was at the 1978 Venice Biennale. There he presented an actual flock of sheep and himself as shepherd, as a living sculpture. 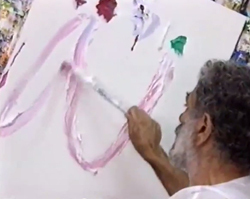 In 1980, he began to paint sheep portraits. Each one is different from the other. 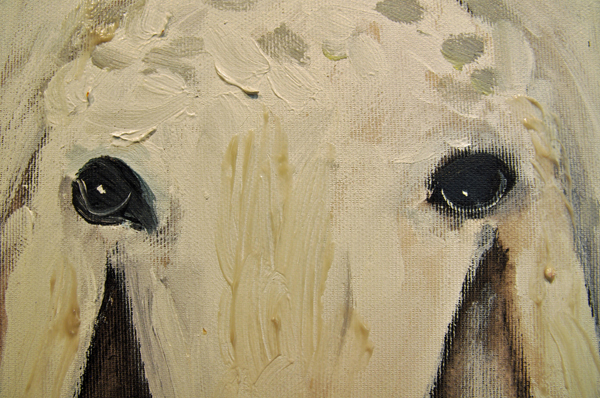 These instantly-recognizable sheep portraits soon became his artistic "trademark". Menashe Kadishman's sheep is free of any artistic, religious, or national associations although it may evoke the sense of man's relation to the land. The sheep is part of the Kadishman originality and of his gentle stand in the world. In an era of sophistication, he has sought to paint the possibility of contact with ordinary and real things. He drew many different portraits of sheep at different sizes. You are invited to explore the beauty of Menashe Kadishman art and experience intimacy with his work at a very unique art exhibit.